I’m not the type of person who enjoys making bread things. Not sure why, just not me! 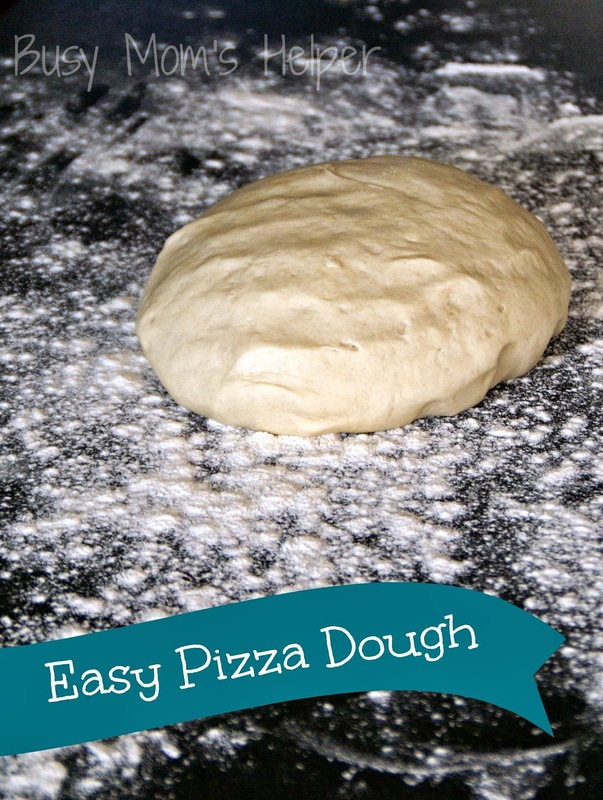 So please don’t be too surprised at today’s recipe: Easy Pizza Dough! I miss Papa John’s pizza. When we first moved to Texas, I would watch for deals and order their pizza once a month for our family. It was great, and having a night off from cooking was AWESOME!!! However, in our new house there aren’t any close enough to deliver, and it’s a 20 minute drive EACH WAY to do carry-out, so I may as well take the time to cook something and save money. Yes, there’s other pizza places, but it’s just our family’s thing to always do Papa’s. Anywho, what’s a girl to do in a situation like this? Learn how to make our own delicious pizza, of course! A couple weeks ago I shared our first ‘successful’ pizza – Homemade Chicken Alfredo. Delish!!! Now I’ve gotten the pizza dough down, and want to share this super easy recipe with you – it turns out nice and soft-yet-cooked-through, some flakyness….just try it, it’s ‘da-bomb’! Put the Water in a bowl and add the Yeast, stirring really quick to dissolve it. Set aside. In a bowl, mix the Flour, Salt and Baking Powder together. Add the Butter, then the yeast mixture. Make sure it’s well-combined. Take a bowl and swipe the inside with a bit of Olive or Vegetable oil. Place the dough ball inside, turning until dough is covered with the oil. Cover the bowl with a damp paper towel and allow to rise for about an hour. Knead dough ball on a lightly floured surface until no longer sticky, and well combined. Use in your favorite recipes, such as our Homemade Chicken Alfredo Pizza!!! We love making pizza but usually use a premade dough. This looks super easy so I’ll have to try it! Thanks for sharing Danielle! I use to do the pre-made stuff, also, but I LOVE how easy this is, plus tasty! Let me know what you think if you’re able to give it a try 😀 Have an awesome week Tiffany!